Whether it's your first visit to Steveston or if you live here and haven't had a chance to experience the wonderful things a small town within a city can offer, take a look below and see if there is something you'd like to do today or on your next visit! 1. Receive a warm friendly welcome from everyone you meet. 2. Have breakfast at one of our great coffee shops. 3. Phone friends and meet them for breakfast or lunch. 4. Grab "The Steveston Villager" to find your way around and check the Calendar of Events. 5. Enjoy the sandy beaches of Garry Point Park. 6. Charter a boat and go fishing. 7. Cast for salmon off our public fishing wharves. 8. Buy all your postal needs at our Museum/Post Office. 9. Enjoy the new Canning Line Exhibit at the Gulf of Georgia Cannery Nats Historic Site. 10. Watch for seals in the harbor. 11. Visit Britannia Heritage Shipyard and their new visitor centre. 12. Watch the fishers mend their nets. 13. Smell the budding cottonwood in the spring! 14. Visit the Gulf of Georgia Cannery National Historic Site. 15. Enjoy the food of over 3 dozen restaurant and food services. 16. Picnic at London Heritage Farm and their wonderful gardens. 17. Jog , bike or just walk our trail system. 18. Please excuse our "construction zones". We're growing! 19. Visit the Interurban Tram's new location. 20. Feed the ducks and seagulls. 21. Visit our Library at the Community Centre. 22. Toss your troubles away ...anything goes, relax, relax, relax! 23. Go fly a kite at Garry Point Park. 24. Go fishing off one of our public fishing piers. 25. Make dinner reservations at one of our fine dining or casual restaurants. 26. Enjoy the Japanese Gardens at Garry Point Park. 27. Look for the lights of our lighthouses at Garry Point park, bringing home our fishers. 28. Check out our newly opened stores. 29. Watch the incredible sunsets. 30. Watch the incredible sunrises. 31. Try bird watching on the Fraser River. 32. Stay the night and enjoy Live Music at the Steveston Hotel. 33. Say a prayer at the Fishermans Memorial at the boats and crew that have gone down. 34. Browse through our fishing supply houses for hard to find treasures. 35. Get a great Massage before lunch. 36. 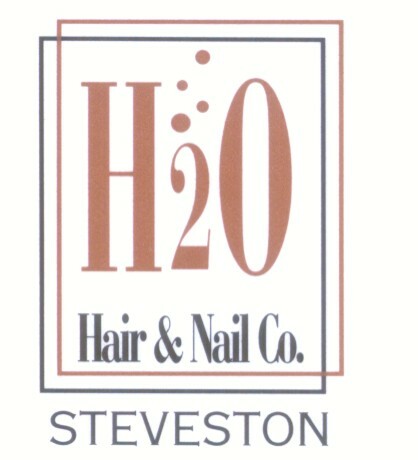 Make an appointment at one of our many hair salons or our barber. 37. Explore our fine art galleries. 38. Shop our stores for Canadian goods, arts and crafts. 39. Watch the progress on fish boats built at Britannia Shipyards. 40. Visit our Fisherman's Mermorial at Garry Point. 41. Send postcards to all your friends, telling them about this magical place. 42. Watch the planes come in at Garry Point. 43. Bring your camera to catch a treasured moment. 44. Enjoy the salty sea air on your walk. 45. Sit on a bench and watch our busy harbor. 46. Check out nesting bald eagles, but dont harass. 47. Enjoy food from all over the world. 48. Our bookstores carry works by local poets and writers. 49. Avoid big city crowds .. our discriminating shops offer treats and surprises. 50. Lots of places to eat .. from burgers to award winning seafood. 51. Watch for street entertainment and music on weekends. 52. Count the seagulls chasing the Eagles. 53. Wake up in Steveston and enjoy the hospitality.! 54. Have a picnic at Garry Point, complete with bonfire. 55. Check out our fresh farm produce. 56. Warm yourself with award winning chowders. 57. Count the number of trollers you can find. 58. Find the best fish and chips in Steveston its really a hard choice. 59. Enjoy the old photos and artifacts at the Steveston Museum. 60. Watch the Herons fishing the river in the evening. 61. Watch the fishing boats unloading their catch. 62. Take a Cannery Channel Tour or Fishing, Diving, Firework or Sunset Cruise charter. 63. Have your boat fiberglassed or engine overhauled. 65. Check out our newly added street lights to brighten your way. 66. Visit our Heritage Sites, we have many see our Heritage Sites home page. 67. Take a tour of Britannia Heritage Shipyards. 68. Try beachcombing along the river for fishing net floats. 69. Play a of game of racquetball at the Community Centre. 70. Count the number of fishing boats going in and out of the harbor. 71. Enjoy the smells of Steveston in the summertime. 73. Find the best in everyday grocery, bakery, deli and vegetable shopping. 74. Looking for clothes bargains? Try our consignment shops for adults and children. 76. Find the best bakery in town, weve got many. 77. Book your travel plans for your return trip to Steveston with our travel agent. 78. Find the best seafood bargains at our Fisherman's Wharf. 79. Find out how fresh air feels instead of feeling "malled". 80. Watch for Herons nesting in the spring. 81. Cast for fish from our beaches. 82. Observe the Eagles nesting and feeding their young. 83. Count the many species of wildfowl on the river. 85. Make plans to spend time at some Salmon Festival events. 86. Watch your children ..oooh and ..aah at the variety of different sea life. 87. Take a guided "Walking Tour" of Steveston, handbooks available at the Museum/Post Office. 88. Take the children to play or swing at Steveston Park. 89. Bike the dike, or walk the baby carriage. 90. Brave the element and watch the Santa Claus Parade on Dec. 24. 91. Enjoy a game of tennis at night at the Community Centre courts. 92. Take an yoga class at our Serendipitous store. 93. Take a class at Britannia Shipyard. 94. Find out why feeding the seagulls is dangerous. 95. Find the best looking Sweatshirt or Hat in town or have one embroidered. 96. Take a Martial Arts Class at the community Centre. 97. Wake up at one of our Bed & Breakfasts. 98. Make plans to stay the night at our local Hotel. 99. Don't leave it too long before your next visit check out our travel agent. 100. Find the best kept secret in Richmond .....Come feel the spirit of Steveston. 101. Most importantly, if you're a regular to Steveston, thanks for coming, and if this is your first visit, we hope you enjoyed your stay. Please Come Again!